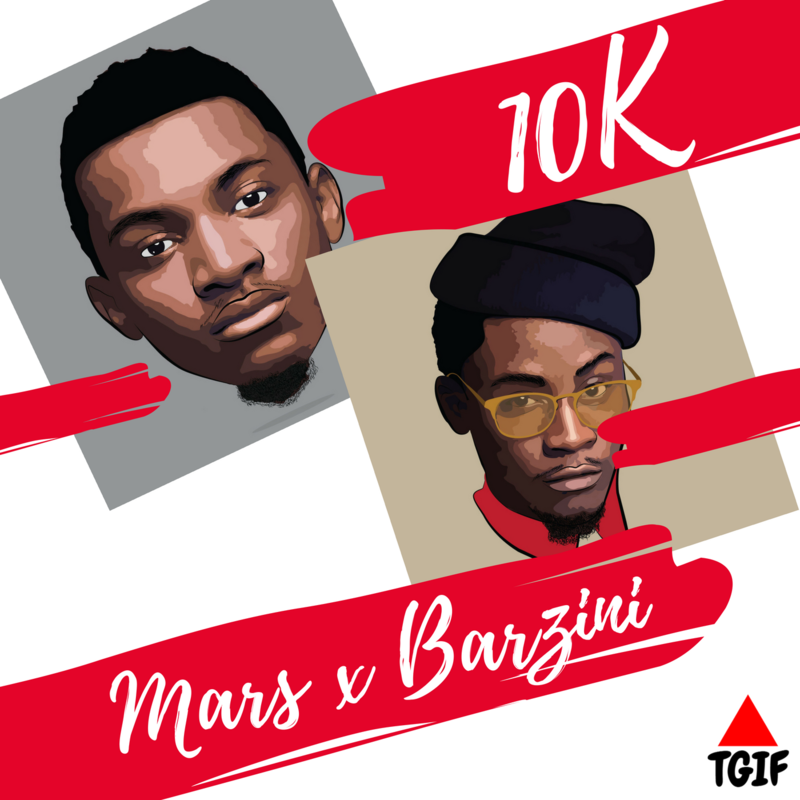 Mars and Barzini give us a playful “thank you” song titled “10K” for their fans. Asides from them hitting the 10K follower mark on Instagram, “10K” is also a metaphor for progress, for growth, and the desire to grow some more. 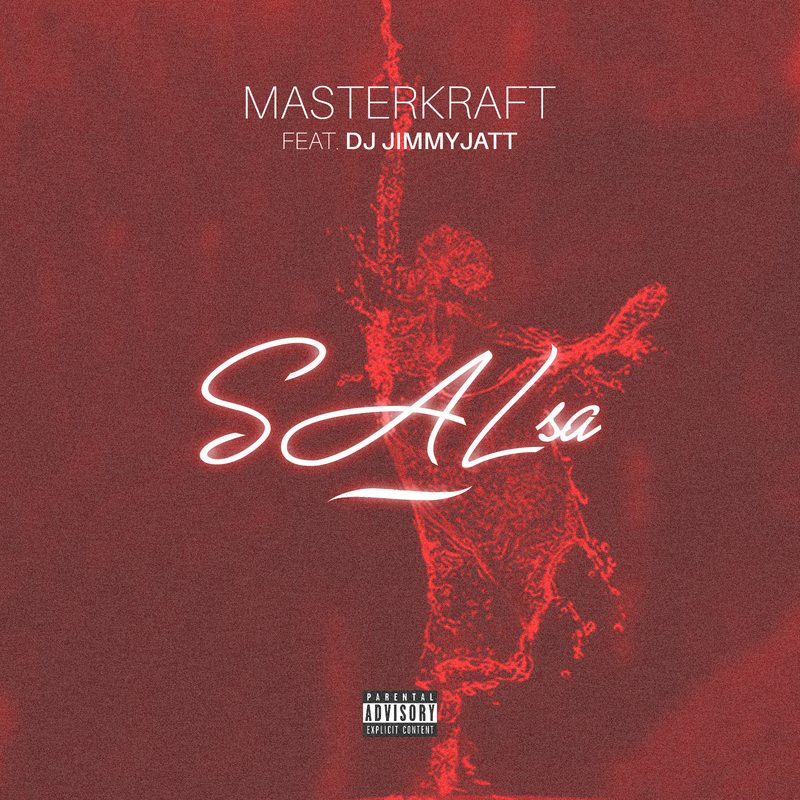 This release follows the success of their debut audio and video single “Oluwa Nagode” which went viral, having notable celebrities such as Lola OJ, Wofaifada, Maraji, Crazeclown and 2013 BBA winner Dillish Mathews among others rave about the song on social media. In continuation of their new musical sound they call ‘AfroGroove’ which is a marriage of the new and the old, the song is produced by Syn-X and mixed and mastered by Zimbocrix, both in-house TGIF Music producers/sound engineers. Davido Music World presents the new single for her rap phenomenon – Dremo. 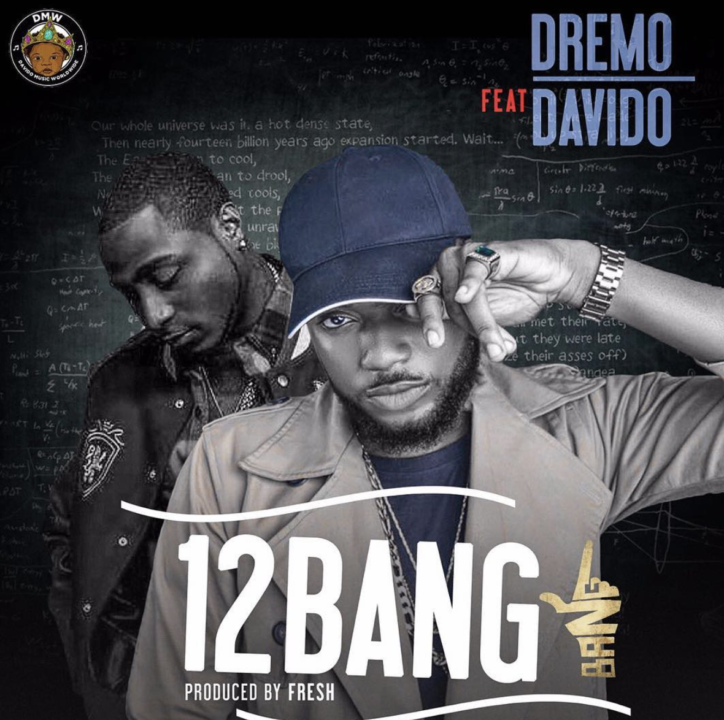 This one is titled 12 Bang, and it features OBO himself – Davido. “Jaypee” A graduate of Chemical Engineering and Business management at the Institute of Management and Technology Enugu and University of Calabar respectively is unarguably the newest talented discovery from the Southeast Nigeria as he makes a debut here with a double doze of Audio and video of this mind blowing joint titled “Amara Chukwu” . 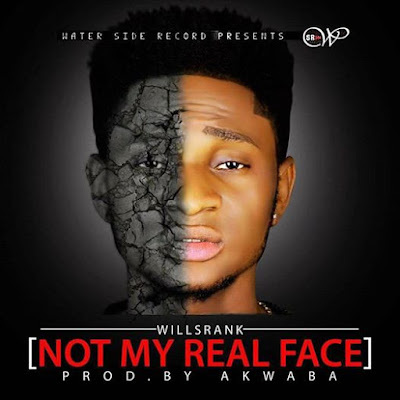 Water Side Recordz..presents WILLSRANK a.k.a sir Nero. the young talented artist from south south waffy city raised in lagos finally sign up by water side recordz label. After his debut single Ayele which recieved massive air play is back with another dope hit that will get you wondering. Not my real face Produced by D2 Akwaba. “Music for me is about constant re-invention, most importantly music should be made to be relevant, no matter the time or era. “Salsa” is a song that I wanted to showcase the fact that I can sing. Many people will only recognise me as a producer, yet I have been a singer from a very age, and had the opportunity to develop craft as singer through my church. Singer J. Lo presented the 'Person of The Year Award' to her ex-husband and father of her twins, Marc Anthony at the Latin Grammy Awards. Marc Anthony received the award and leaned in to kiss J.Lo on the lips, their lips locked for a few seconds and they both drew away from each. While Marc made his acceptance speech, he called J.Lo his 'Hermana' which means sister. So the kiss on the lips was brotherly/sisterly to Marc, but J.Lo's face after he said that was priceless, lol. She also shared a photo of Kim K on vacation in Thailand. 'I've known him since I was a little girl -- so yes.' She said of her relationship with the President-elect: 'I've known him my entire life and he's always been incredibly supportive of me. 'Paris Hilton and Trump's daughter, Ivanka have been friends since she was 12 years old. "She was an entertainer. If you were around her all could do was laugh. She told a lot of jokes," "She was always the life of the party... She was the life of anywhere she went. Anybody she was around definitely enjoyed her company." "I know she had the talent to be successful. "Adding that he believed that Nick was responsible for her death. Nick was not present in court and hadn't been through the course of the wrongful death trial. The judge broke down the high dollar amount, awarding $15 million for her net worth and future potential income. He also awarded $13 million for "pain and suffering." $1.5 million and punitive damages of $250,000 for stealing funds after Bobbi's estate accused Nick of regularly transferring funds from her account to his account, including $11,000 after she'd fallen into the coma on Jan. 31, 2015. The judge also awarded $1.3 million for physical abuse that Bobbi's estate said he inflicted upon her, as well as a $4.2 million because he was allegedly under the influence of drugs and alcohol. 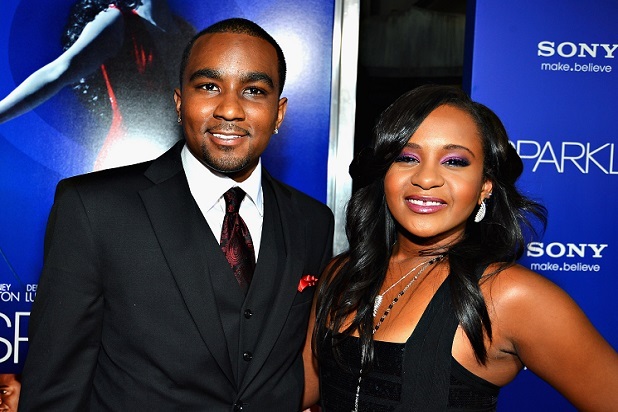 The estate originally sought $40 million from Nick Gordon. TMZ reported that the final verdict came after tearful testimony from Bobbi Kristina's friends and family. Although no criminal charges were ever filed, Bobbi's estate filed the suit against Nick, alleging he gave her the toxic mix of drugs, which the medical examiner said played the key role in her drowning death on July 26, 2015. A campaign targeted at Ivanka Trump tagged GrabYourWallet began last month over her support for her father following what they regard as his sexist comments against women. The campaign which was initiated by Shannon Coulter appears to be gathering steam in the wake of Trump's victory. 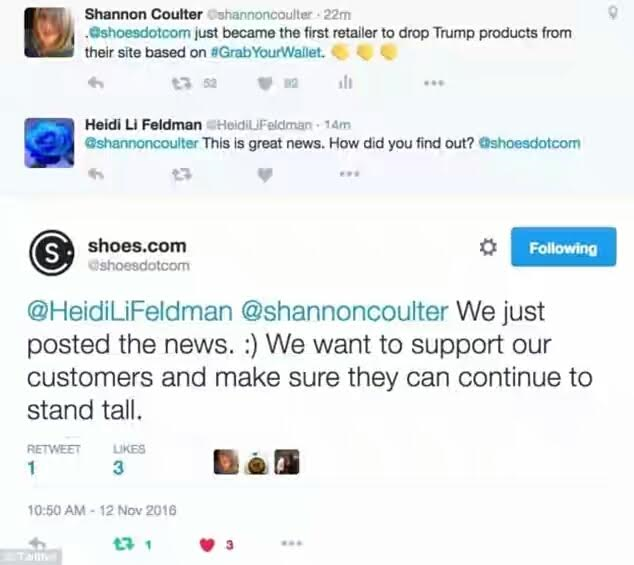 Shoes.com, a Canadian online shoe store, became the first retailer to announce it was dropping Ivanka Trump's shoe line last week. 'We understand and your voices have been heard. We have removed the products from our website,' Shoes.com tweeted on November 12. 'We want to support our customers and make sure than can continue to stand tall. 'Companies refusing to join the movement and dump Trump have also been boycotted. It also appears that interior decor store Bellacor has also dropped Ivanka products. Coulter tweeted that the furniture and interior store had quietly removed all of its Trump products after the company was added to the boycott list. Not all companies have been swayed though. 'We hope that offering a vendor's products isn't misunderstood as us taking a political position; we're not. We recognize,' a spokesman added in a tweet. According to Forbes, Trumps retail collaborations have suffered since he announced his candidacy while Ivanka's clothing line which had a sales revenue exceeding 100million last year, is growing. 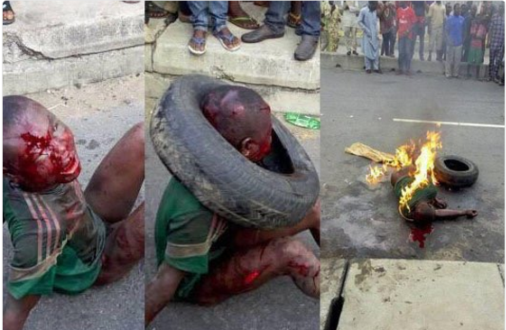 Here's an update on the young man who was beaten and burnt to death in Lagos recently. The event went viral on social media this week because we all thought the young man was a 7 year old child who stole garri. From investigations carried out by LIB, the boy was not 7, he's said to be in his 20s, but had a small frame so many thought he was a young boy. He was also allegedly a notorious thief in the area..
LIB exclusively gathered that the incident happened on Saturday, November 12, at the popular Alafia busstop, Orile. According to residents of the area who spoke to LIB, the lynched man was a notorious thief in the area and he and his gang had tried robbing a woman of her valuables but met his waterloo when he was caught by a Hausa man who refused to let him go even though he stabbed him. Others gathered and the young man was lynched. Jungle justice should never be an option no matter the crime committed and those involved should be brought to book. From LIB's investigations, it doesn't look like the police are even interested in the matter because the guy is a criminal and in that Alafia area criminality and killing of criminals is common practice. A lot of people in the area refused to speak to LIB for fear of being attacked because the place is a very notorious zone as killings, robbery and cult operations are normal occurrences in the area. "The incident occurred on Saturday morning, the boy who is between 20-25 years is a notorious thief in the area. The Hausa man who caught him has been targeting him for a while as he is tired of his notorious activities. So that Saturday morning, the boy and two of his friends robbed a girl of her bag and phone but was caught by the Hausa guy who insisted that he would be killed after they stabbed him. Two of his friends ran away but the Hausa man held on to the guy even as he stabbed him, and insisted on lynching him. That day wasn't his first time of stealing but that was his last day." As people started coming that's when the other two robbers left the boy and ran away. According to eye witness reports, the Hausa man said he even knew the guy that was lynched, and that he had been targeting him for a long time. 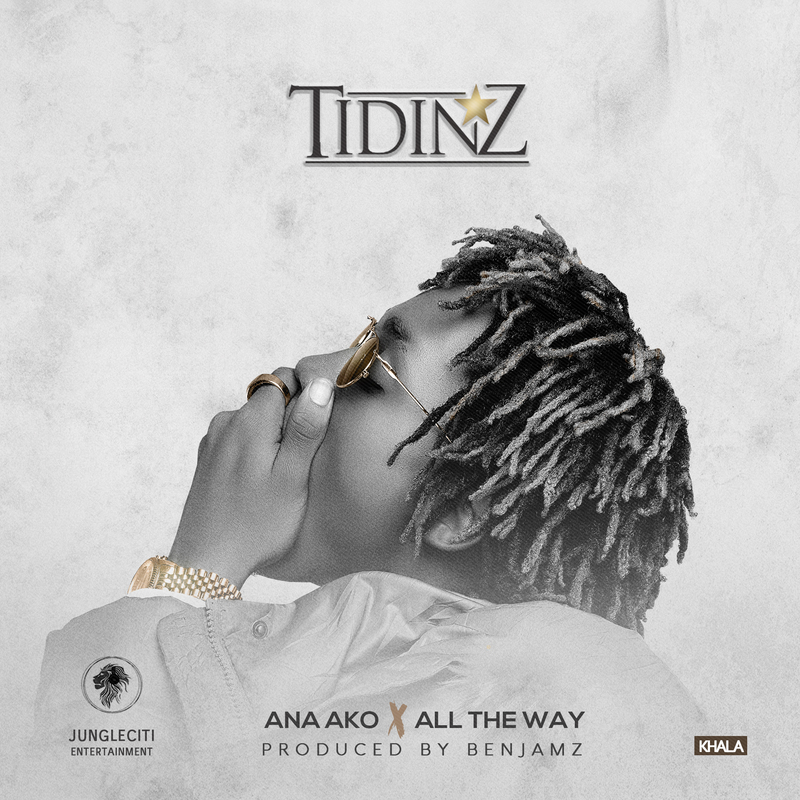 'But I nor go lie ooo, the Hausa man know him, him don dey target am since…." A Hausa guy who works around the crime scene said the Hausa guy who insisted the thief must be killed was stabbed initially by the thief and his friends, this made him angry prompting him to insist that he must kill the man even if it means he would die too. "He dey give am money N200, N300 make him go chop free am but him no go gree. That Saturday, as him thief, the Hausa man come catch him and his friends, he come stab the Hausa man before the Hausa man begin beat am people come gather as he they beat am. They come put am tire, pour am petrol na so he die. 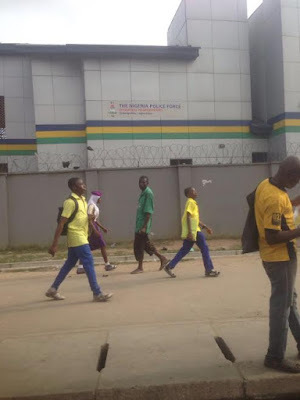 Ambulance come today come carry am"
LIB visited the Nigeria Police Force Divisional Headquarters, Orile-Igamu, Lagos to ascertain if any arrests had been made but the DPO said 'she isn't aware of the case.' and that LIB should go contact the Lagos State Police PRO if we needed information. Nigerian death row convict, Chijoke Stephen Obioha was executed in Singapore early this morning, after the Court of Appeal dismissed an Urgent Criminal Motion filed by his lawyer, Mr Joseph Chen, yesterday. 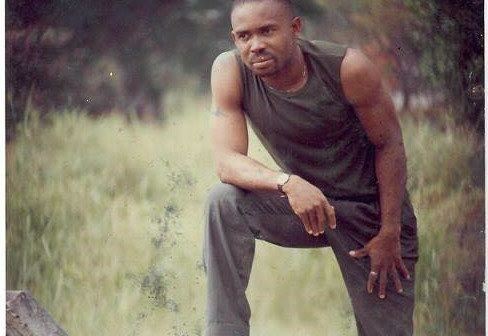 "This morning, at 6am, the execution of Chijioke Stephen Obioha took place. I am not even sure if his family from Nigeria were able to attend. Soon it will be all forgotten together with Chijioke’s name, but for the many of us who fight and campaign to eradicate this barbaric practice of death by hanging, and for those of us who challenge the mandatory death penalty for drug trafficking in Singapore, our work will go on. And it must." In an update, Mr Ravi said that he is making arrangement with the Roman Catholic Prison Ministry to claim his body for proper burial today or tomorrow. "Update: I'm currently arranging with the Roman Catholic Prison Ministry ( RCPM) to claim the body of Chijioke from the Singapore Prisons Service for a proper funeral in accordance with his religious beliefs.The funeral will take place either today or tomorrow depending on how soon the SPS could release the body.Will keep you posted"
Chijoke was first arrested in 2007 and sentenced to the Mandatory Death Penalty in 2008 after being found guilty of trafficking more than 2kg of Cannabis. His execution tomorrow will bring and end to possibly the longest delay between sentencing and execution. Chijoke has spent almost 8 years on death row and more than 9 years behind bars.